Looking for used car deals near Manchester? Look no further than the used vehicle specials here at Liberty Honda. Find great deals on used cars, trucks, and SUVs. Our ever-changing offers include competitive prices on popular used Honda models including the fuel-efficient Honda Civic and the roomy and comfortable Accord. We also offer deals on plenty of non-Honda used cars. To ensure we have a used vehicle for sale to meet every budget, we have a selection of used cars priced under $10k. Browse our used vehicle specials online to discover the best price on the used car you’ve been searching for. Certified. Red 2017 Honda Accord Sport FWD CVT 2.4L I4 DOHC i-VTEC 16V **Honda CERTIFIED**, **Under Warranty to 48K Bumper to Bumper & 100K Powertrain**, Accord Sport. To see more photos of this Honda Accord Sport finished in Red please visit our website at www.libertyhonda.com. Recent Arrival! Odometer is 3496 miles below market average! 34/26 Highway/City MPG** Honda Certified Used Cars Details: * Warranty Deductible: $0 * Limited Warranty: 12 Month/12,000 Mile (whichever comes first) after new car warranty expires or from certified purchase date * Roadside Assistance * 182 Point Inspection * Transferable Warranty * Vehicle History * Powertrain Limited Warranty: 84 Month/100,000 Mile (whichever comes first) from original in-service date Awards: * 2017 IIHS Top Safety Pick+ (When equipped with Honda Sensing and specific headlights) * ALG Residual Value Awards * 2017 KBB.com 10 Most Awarded Cars * 2017 KBB.com 10 Best Sedans Under $25,000 * 2017 KBB.com 10 Most Comfortable Cars Under $30,000 * 2017 KBB.com Best Family Sedans * 2017 KBB.com 5-Year Cost to Own Awards * 2017 KBB.com Best Buy Awards * 2017 KBB.com 10 Most Awarded Brands * 2017 KBB.com Brand Image Awards 2016 Kelley Blue Book Brand Image Awards are based on the Brand Watch(tm) study from Kelley Blue Book Market Intelligence. Award calculated among non-luxury shoppers. For more information, visit www.kbb.com. Kelley Blue Book is a registered trademark of Kelley Blue Book Co., Inc. 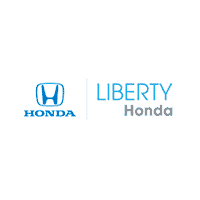 Here at Liberty Honda, we know that New Britain drivers want a quality used car at a price they can afford. That’s why our service department thoroughly inspects every used vehicle in our inventory before it hits our lot. And with our Perfect Price Policy, you’ll always get our best price first without having to waste time haggling. Once you’ve browsed our used vehicle specials, feel free to contact us with any questions or simply stop by our showroom in Hartford to find the perfect used car to drive home to Glastonbury!